A silent revolution of women is underway in Uttar Pradesh and it is our intention to continue building momentum to bring the remaining 10 million poor households under the fold of RGMVP by 2016. 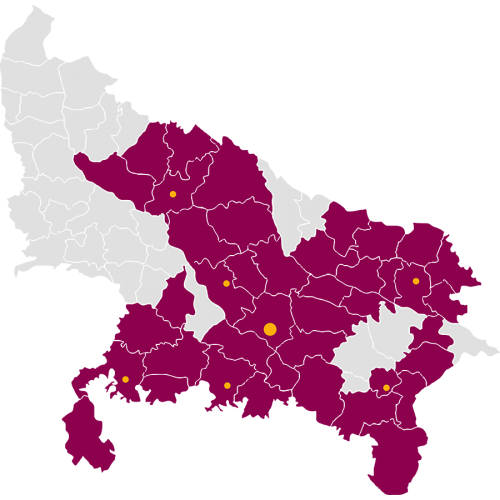 Today, over 2 million households have been mobilised across 49 of the most underdeveloped districts in Uttar Pradesh. This accounts for two-thirds of the poorest of the poor areas, including complete coverage of the Bundelkhand region, which is ranked the most impoverished in the state.